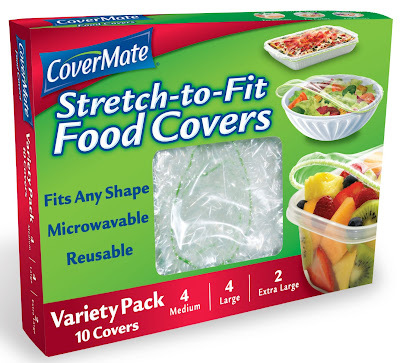 CoverMate® Food Covers is now offering their popular covers in a new convenient Variety Pack which helps to provide a solution to numerous food storage, serving, and heating challenges. From Refrigerator to Microwave or Serving Table, CoverMate® has it Covered. Think of saving leftovers with food storage containers and thoughts of lost lids and mismatch sizes inevitably come to mind and trying to use plastic wrap is always a struggle. So, what’s a quick and easy way to save food, minimize refrigerator odors and keep your microwave clean when reheating leftovers? CoverMate® Food Covers, now available in a new Variety Pack at supermarkets and mass merchant retailers nationwide, provide a solution to these and other common food storage, preparation and serving challenges. These new food covers stretch-to-fit any size or shape plate, bowl, or containers, are reusable, and are microwavable and dishwasher safe. 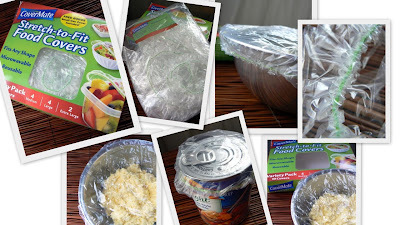 The covers eliminate the hassle of searching for the correct size food container lid, and take the guess work and struggle out of using plastic wrap or aluminum foil. The CoverMate Variety Pack contains a selection of four sizes perfect for covering everything in the kitchen from small cans and food storage containers, to casserole dishes and even large party platters. Manufactured in the U.S., the covers include a patent pending FlexBand that creates a secure seal over any size or shape container while enabling them to stretch easily, even after repeated use. Other patent pending features include built-in corners for fitting both round and square dishware, and vents which allow steam to escape during microwave re-heating. The covers are made from heavy duty, clear FDA-compliant food-safe material free of BPA, PVC and latex. Now there is no need to dirty extra dishes, in seconds you can cover a plate and go straight from the microwave, to the table, to the refrigerator. The covers are especially useful for outdoor entertaining to protect food from insects and dust, while making it easy to uncover and re-cover food for snacking all day. CoverMate Food Covers, which are manufactured and marketed by CoverMate Inc., are available at over 10,000 retail stores nationwide such as Target as well as online at www.amazon.com. Suggested retail price for the CoverMate Variety 10-pack is $3.99. CoverMate is currently running a special promotion at www.trycovermate.com where for just the $3.95 cost of shipping and handling, they will send customers a sample pack of all four CoverMate sizes along with a $1.00 off retail coupon for their next purchase! 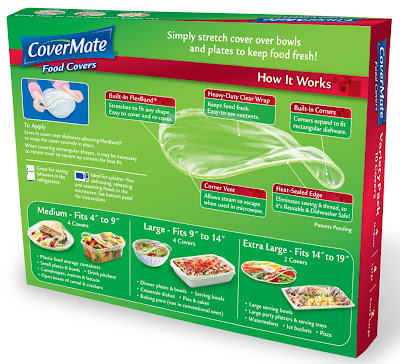 Click for a Store locator and FAQ's about CoverMate Food Covers. We were asked to review these CoverMate Food Covers, and were sent a box of a variety of sizes. I've never used covers like these before so I was eager to try them out. I had made egg salad earlier and used one of these to cover the bowl, it worked great! Seemed to keep the smell inside (hate it when Mr. leaves dishes uncovered and the fridge reeks of it!) sp that was great. With these, you can wash and reuse them, just place in your dishwasher! Well, I tried that, and after the cycle was done, these little covers were filled with the leftover rinse water, yuck! I still had to rinse them and somehow hang them up to dry out. Since these are just a plastic with an elastic band around it, they scrunch up making it hard for them to dry. I felt like I was reusing baggies. I like the idea of these overall, I would use these on party trays or taking over salads to another's home, but I wasn't happy about the whole washing and drying thing. Maybe there is a trick to it? *UPDATE: I was notified by my PR how to wash & dry these! "If you take your CoverMate Food Covers, turn them inside out and put them over a clean plate and they will wash perfectly! " Thanks! What do you think? Would you use these? I wrote this review for "Mommy? I'm Hungry!" 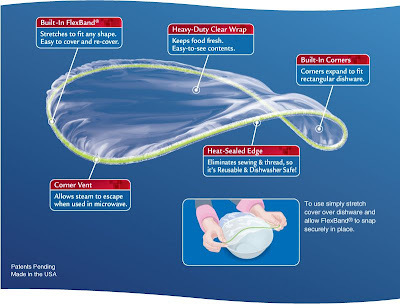 about CoverMate Food Covers. I received free for this review. All opinions for this review are that of myself & family.